As He Told a Friend Years Later, "The Kiss of Walt Whitman is Still on My Lips"
The 19th century was fixated on manhood. Much has been written about the constraints on Victorian women but gender expectations for men were no less real, although less pronounced. The debates swarming around Wilde were personal, but they also touched on fundamental questions about what made a man a man. 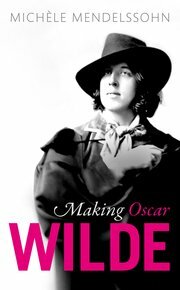 Poetry was a battleground for masculinity, and Wilde had entered the fray. “What is a man anyhow?” a then little-known poet called Walt Whitman asked at mid-century. His reply came in the form of Leaves of Grass, an 1855 poetry collection that sought to establish the nobility of the American working man. Whitman’s inclusive spirit and comprehensive range made his poetry nothing short of revolutionary. When he pictured seamen and horsedrivers, gunners and fishermen, he praised their blend of “manly form” with “the poetic in outdoor people.” Likewise, he assured readers that the ripple of “masculine muscle” definitely had its place in poetry. In Whitman”s book, a working poet could be as manly as marching firemen, and wrestling wrestlers could be just as poetic. Every working man could represent what he triumphantly called “manhood balanced and florid and full!” He redefined who counted as a real man. It wasn’t long before the essayist Ralph Waldo Emerson was writing to congratulate Whitman. Emerson had given much thought to these matters. Decades earlier, in his celebrated 1837 “American Scholar” speech, he had observed that society rarely regarded a man as a whole person, but reduced him to less than the sum of his parts. Now Whitman’s poetry had restored men to their whole potential. Leaves of Grass “meets the demand I am always making,” Emerson told Whitman in 1855, praising his exceptionally brave handling of his materials. Here, finally, was an American poet who embraced the totality of man, and celebrated him as a fully embodied individual. “I greet you at the beginning of a great career,” Emerson wrote him. 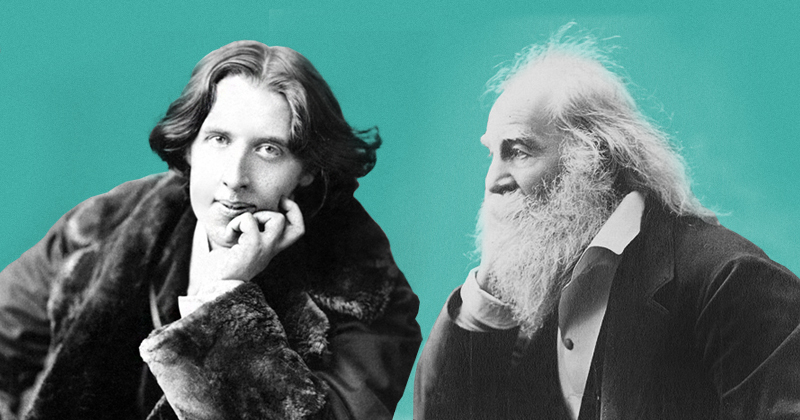 Whitman’s ideas intrigued Wilde, who looked to the older poet as a role model and possible ally. If friendship and solidarity were too much to ask, there might at least be some positive publicity to be gained from courting Whitman’s attention. By now Wilde realized that he had to advertise himself—it was a necessity if his lectures were not to be an outright failure. It was then that an enterprising young publisher named Joseph Marshall Stoddart suggested that Whitman and Wilde share an open carriage ride through wintry Philadelphia—a proposition designed to attract maximum publicity. Stoddart had bought the American rights to Gilbert and Sullivan’s operas; he therefore had a personal stake in the success of Patience and, by extension, in Wilde. When he pictured the pair rolling through the City of Brotherly Love, visible to all, Stoddart must have fantasized about the stunt’s potential to make the dollars roll in. Whitman quickly put an end to that pipe dream. ”I am an invalid—just suffering an extra bad spell & forbidden to go out nights [in] this weather,” the 62-year-old replied, vetoing the invitation. If Whitman read the Philadelphia Press a few days later, he would have noticed the aesthete fawning over him on page 2. “What poet do you most admire in American literature?” the reporter asked. “I think that Walt Whitman and Emerson have given the world more than anyone else. I do so hope to meet Mr. Whitman,” Wilde said, so delivering his billet doux in public. “I admire him intensely,” he continued.Then, gilding the lily, he added, ”Dante Rossetti, Swinburne, William Morris, and I often discuss him.” He was not above embellishing the truth, or insinuating that he might be Whitman’s heir-apparent from overseas. Flattery has been known to open doors, and Wilde’s lifelong habit of smooth talking those he wished to persuade may eventually have unlocked Whitman’s. The key, this time, was one Wilde had not tried before: he used the press as a go-between, and it worked. The next morning, Whitman loaded a pen with black ink and shot off a quick note inviting Wilde to visit him that afternoon. When Wilde knocked on the door of 431 Stevens Street, a boyhood dream was about to be fulfilled. When he was 11 years old, he and his mother read Leaves of Grass together. The book was not then in wide circulation, but Speranza managed to get her hands on one of the earliest copies and made a habit of reading passages aloud to her young son. In the American Leaves of Grass, Whitman spoke for so many that his voice boomed like a chorus. 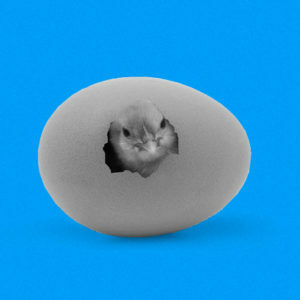 Turbulent, fleshy and sensual, eating, drinking and breeding;. . .
Voices of the diseas’d and despairing, and of thieves and dwarfs;. . .
oices indecent, by me clarified and transfigur’d. . . .
Adorning myself to bestow myself on the first that will take me. Upon entering Whitman’s whitewashed chamber on 18 January 1882, Wilde noticed, first, just how small and bare the room was, and then, almost immediately, how large and majestic Whitman looked sitting in it. As a result of a paralytic stroke, he seemed much older than his years. His snow white beard spread down his neck and onto his chest. But on the frontispiece of the most recent edition of Leaves of Grass, he appeared to have stopped the clock. There, forever fixed, he still appeared as a cocky 37-year-old workman-dandy—only a few years older than Wilde was now. There was good reason to see them as poetic alter egos, since their writings were, by now, both notorious for indulging in sensuality. It was no coincidence that Whitman’s list gave the impression of an interviewer preparing to give a subject a hard time. As a young journalist in the first half of the 19th century, asking questions had been the backbone of his approach. After leaving school at 11, he learned the printing trade, and by 18 he was working as a newspaper editor and journalist. Whitman’s career, from the 1830s to the late 1850s, put him at the center of the rapidly changing literary world. He belonged to the world of New York”s popular press and was practiced in interview-style reportage (as early as 1845 he wrote “A Dialogue” between a convict and “the people”). When he gave up journalism, he transferred his straightforward, vivid reporting style over to the craft of poetry. Often, his poems took the shape of a one-sided conversation, a sort of dialogue between himself and an imaginary interlocutor. Likewise, Wilde’s experience of interviewing would later mould the dialogue in his plays and criticism. From Making Oscar Wilde. Used with permission of Oxford University Press. Copyright © 2018 by Michèle Mendelssohn. Michele Mendelssohn is a literary critic and cultural historian. She is Associate Professor of English Literature at Oxford University. She earned her doctorate from Cambridge University and was a Fulbright Scholar at Harvard University. Her previous books include Henry James, Oscar Wilde, and Aesthetic Culture and two co-edited collections of literary criticism, Alan Hollinghurst and Late Victorian Into Modern (shortlisted for the 2017 Modernist Studies Association Book Prize). She has published in The New York Times, The Guardian, African American Review, Journal of American Studies, Nineteenth Century Literature, and Victorian Literature and Culture.